Home -All News Flagstaff shoplifting suspect in custody. Flagstaff shoplifting suspect in custody. 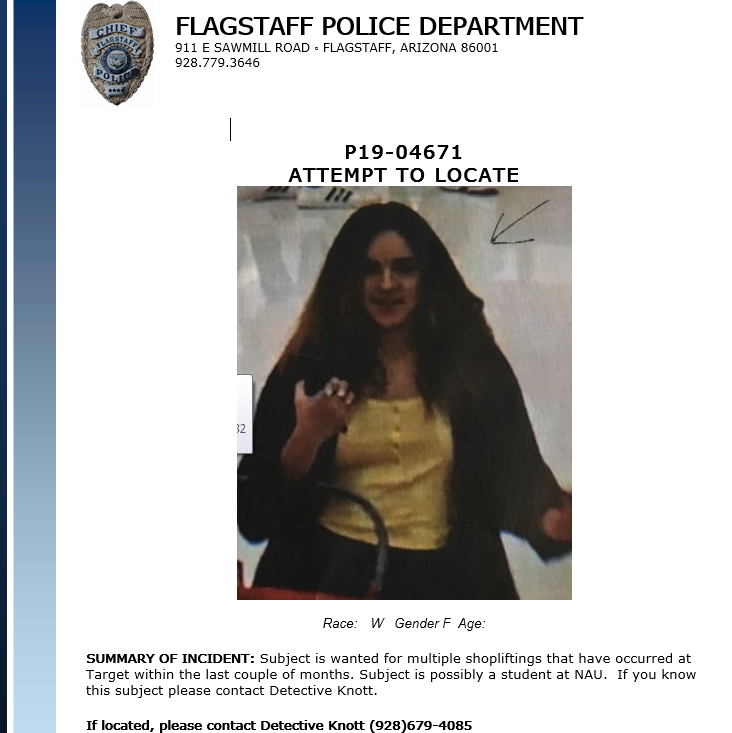 Flagstaff Police officials say they have identified the female suspect wanted in connection with multiple shoplifting incidents and taken her into custody. The incidents reportedly occurred at the Target store within the last couple of months. Officials thank the community for providing tips and information that led to her identification. Will Smith to bungee jump over the Grand Canyon.